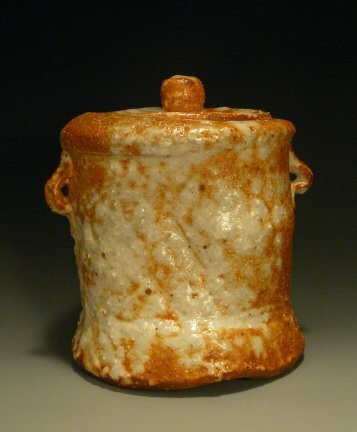 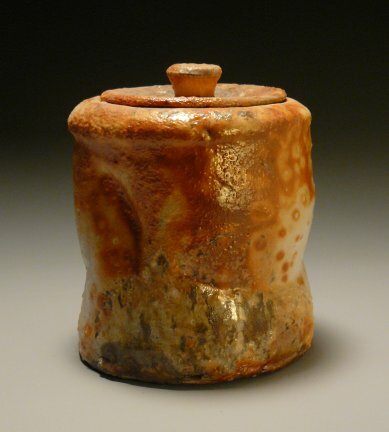 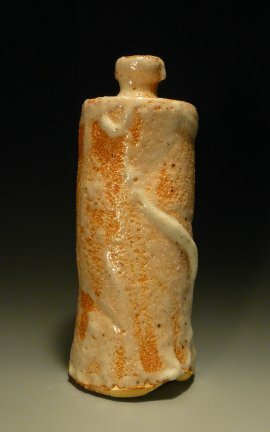 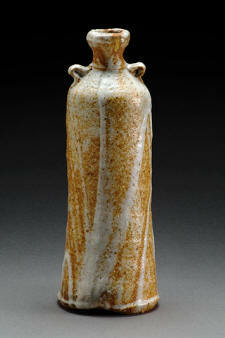 These pots were developed as the result of a Grant that I received in 2004 from the North Carolina Arts Council. 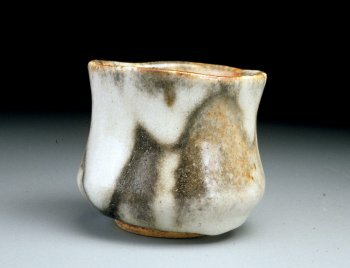 My proposal was to replicate Japanese shino clays and glazes using local materials. 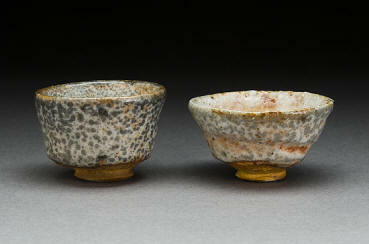 These pots were fired in a special gas kiln modeled after those used in Japan (see Kilns). 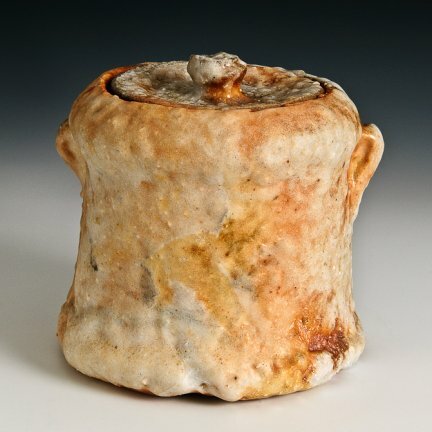 They were fired for 100 hours and then cooled for 7 days. 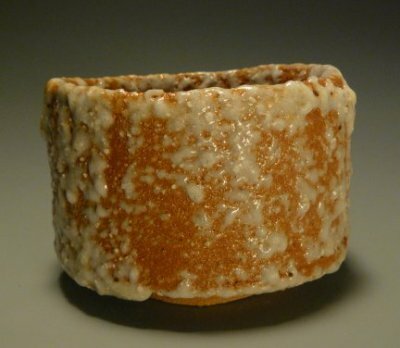 The glaze is primarily crushed feldspar mined in North Carolina and the clay ingredients come from Tennessee and Kentucky. 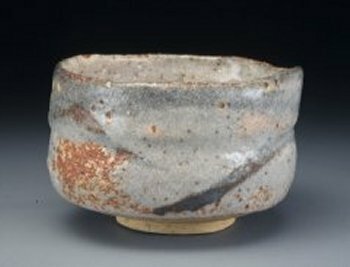 Upon receiving the grant, I visited well-known Japanese shino potters in the Mino/Seto area to learn about their kilns and firing schedules. 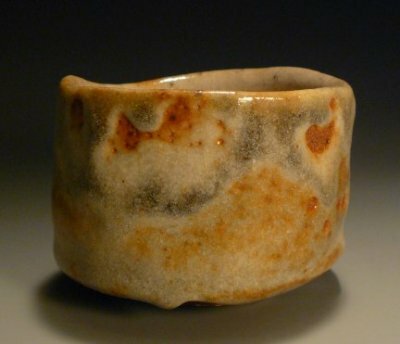 I brought back samples of their clays and glazes which were analyzed for chemical, mineral, and particle size properties. 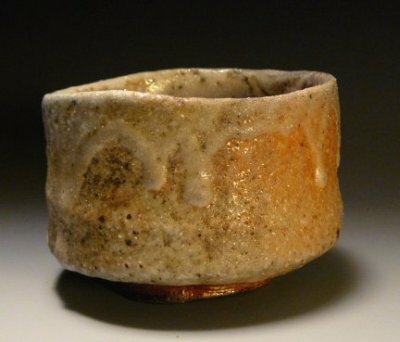 From these analyses I was able to formulate several clays and glazes for testing using local materials. 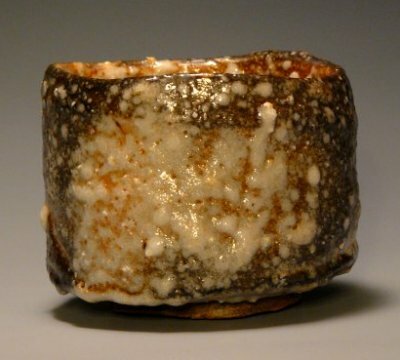 The feldspar used in the glazes was crushed to the proper particle size using a stamp mill made from scrap metals. 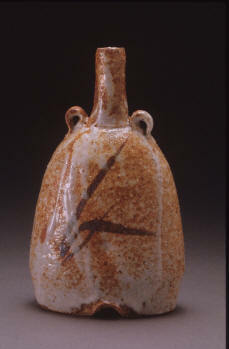 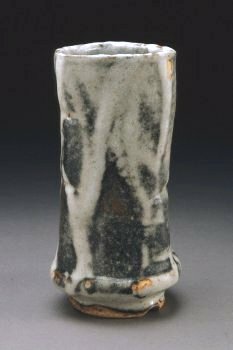 The glazing with feldspar is difficult due to the large particle sizes - like glazing with wet sand. 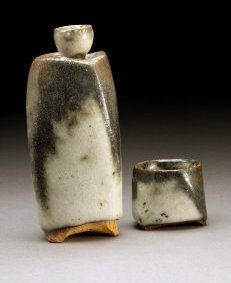 Therefore, only simple shapes can be glazed effectively. 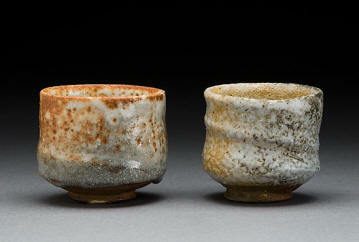 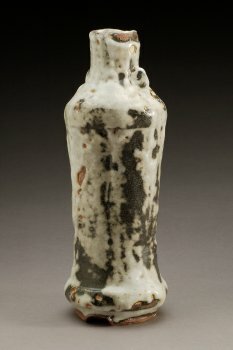 In Japan, shinos are used primarily on tea ceremony pieces and sake bottles and cups. 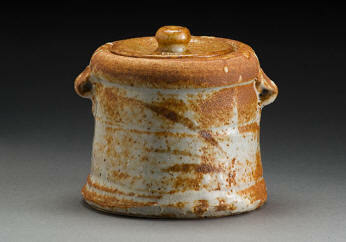 These shino pots are highly treasured in Japan.